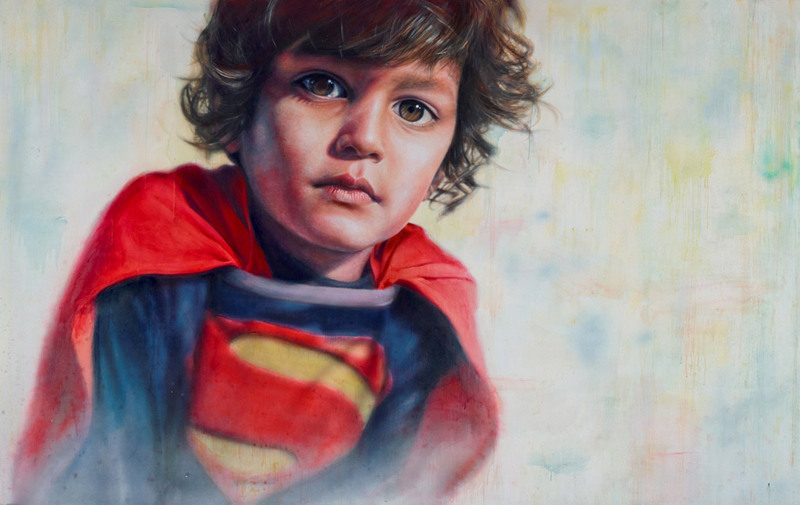 Vincent Fantauzzo describes this painting as a self-portrait with his four-year-old son Luca as his subject and inspiration. ‘Things have changed so much for me since Luca came into my life,’ says Fantauzzo. ‘He is my priority in every way. He has made me much more positive, and inspired me to notice and appreciate the little things in life. He depends on me and makes me who I am. Born in the UK in 1977, Fantauzzo moved to Australia with his family as a child. A renowned portrait artist, this is his sixth time in the Archibald Prize. Last year he won the People’s Choice Award for the third time for his portrait of actor Asher Keddie, whom he recently married. His portrait of Heath Ledger was highly commended in 2008 and in 2011 he won the Packing Room Prize with a painting of chef Matt Moran.